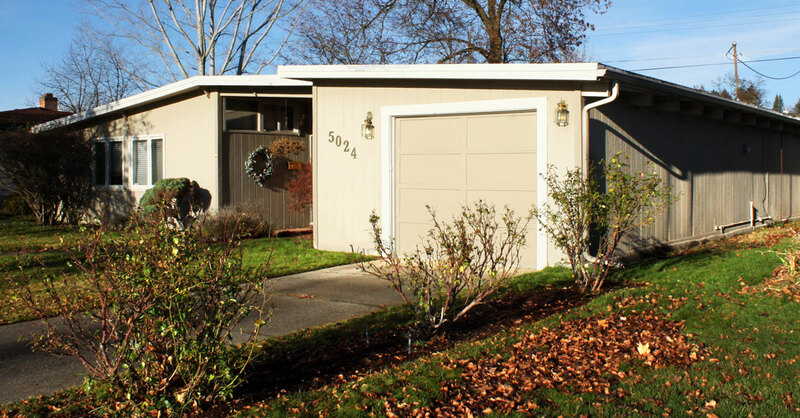 The house is designed in what was often called the “Contemporary” style in the 1950s and 1960s. Offering few traditional stylistic features, Contemporary (or simply “Modern”) homes relied on overall form and simple details to convey a sense of style. Post-and-beam is an example of this approach. 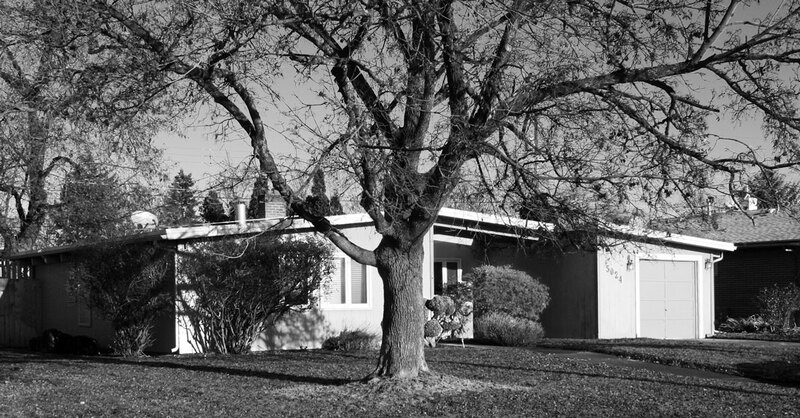 Often designed by architects – in contrast to the more common Ranch-style homes of the era – Contemporary homes were considered “high style.” Common features included a shallow sloped or flat roof, overall asymmetry, expansive window walls, and the use of clerestory windows under the eaves where privacy was important. 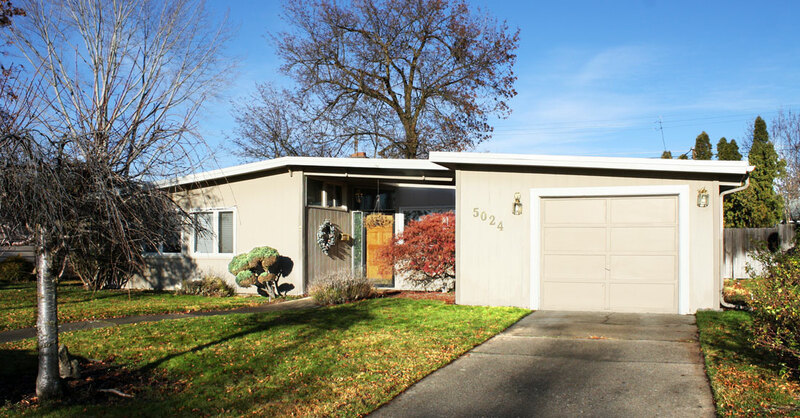 Features shared with Ranch-style homes include an open floor plan, an orientation toward the rear of the property, and the use of windows, courtyards, and other devices to bring the outdoors in. 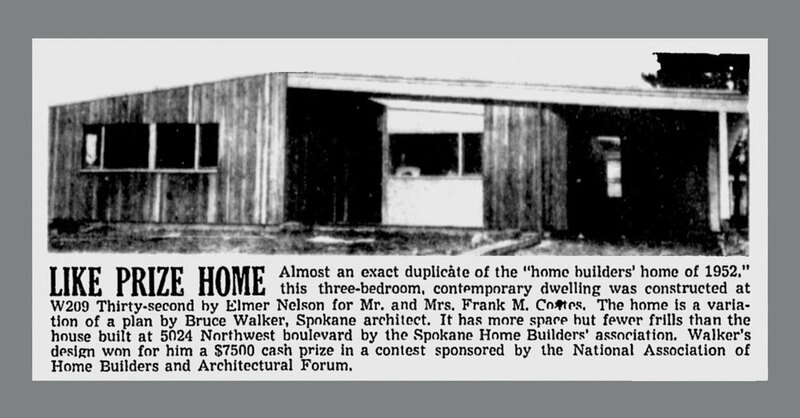 Born in Spokane in 1923, Bruce Walker was awarded a Master of Architecture from the Harvard Graduate School of Design in 1951, where he studied under Walter Gropius. 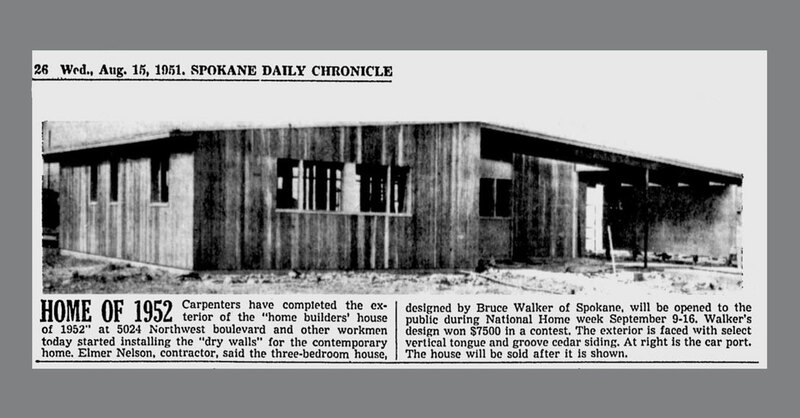 After traveling and studying in Europe on the Appleton Traveling Fellowship, Walker returned to Spokane in 1952. 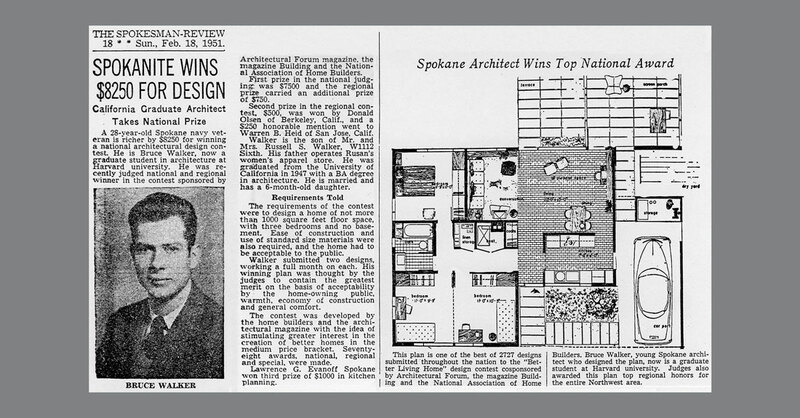 A year later, at the suggestion of fellow Spokane architect Royal McClure, he formed a partnership with John W. McGough – a firm that continues today, with offices in Spokane and Seattle, as Integrus Architecture. Walker was named a fellow of the AIA in 1979. He died in Spokane in 2005.